Access When coming by train / bus. 1.5 km (About 15 minutes on foot) from Fujikyu Highland Bus Terminal. When coming by train / bus, we will pick you up at Kawaguchiko Station and Fujikyu Highland Bus Terminal in advance. 1 km (2minutes) from Kawaguchiko Interchange Exit on Chuo EXPWY. 1 km (2minutes) from Fujiyoshida Interchange Exit on Higashifujigoko Toll Road . Reservable time at WEB site Available 24 hours before lending. 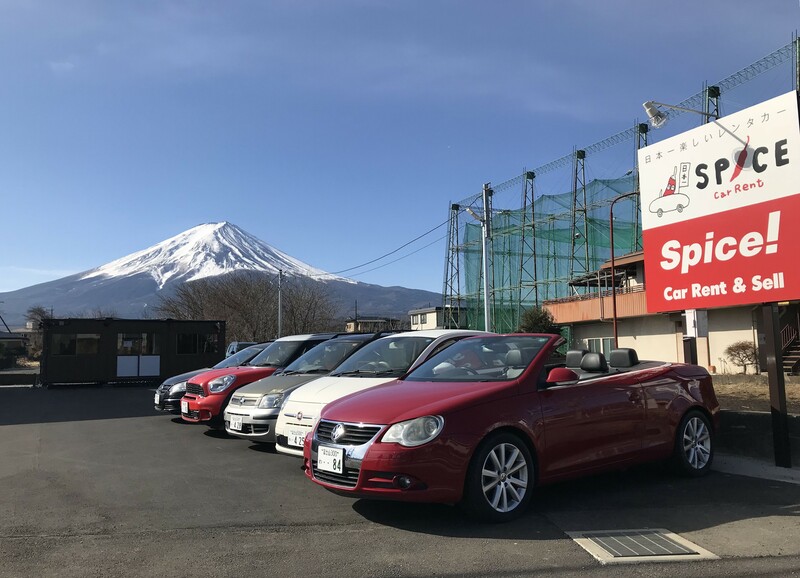 Store introduction You can rent a European car easily and visit sightseeing routes around Kawaguchiko. Aside from European cars, there are also Toyota Voxy 7 seater and Hiace Van, so you can enjoy traveling and sightseeing in your family and friends. Copyright © T.M.WORKS, Ltd. All rights reserved.